Data security risk caused by third parties is a pervasive problem. Yet, many organizations granting remote privileged access to third-party users leave gaps that represent significant security risks. If you’re like most organizations today, you frequently grant vendors, contractors and other non-staff members access to internal networks and systems. These privileged users remotely administer your operating systems, databases or applications using their own endpoint devices. 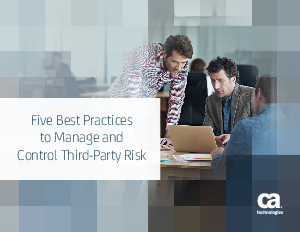 Download the eBook to learn the five best practices to control security risk brought on by third parties.